Maps can really help you to trace your your family history and the migration routes of your ancestors. If you look at historical maps of North America and Europe then you can picture the journeys that they may have made. By doing this you will appreciate their migration, the distances involved and possibly their sacrifices. And besides that you may even feel more of a connection towards your ancestors like I have. The landscape would obviously have changed as well over time and this would have affected their route. To find out more about this part of your ancestors journey please check out this collection. Buying these 9 resources would normally cost you a staggering $272.91. But buying this complete collection that contains two books, together with video and webinar downloads, and more, altogether can give you a 74% saving. Their mode of transport would also be slower than it is today. So, rather than take the direct route they may have traveled from town to town instead to get to their destination. But why would they have made the journey? Quite possibly due to work. You can check where they moved from and where they relocated to and see what businesses there were in both places. I carried out this research myself to get an understanding as to why my ancestors moved from town to town. So, it may have been more prosperous for your ancestors to make these journeys. Also, they may have moved due to fleeing poor areas, disease and war for example. By looking at these old maps you can also see the area in which they lived. From these maps you can observe their surroundings and any landmarks, and these may give you clues to your ancestors’ past. For example, if you know your ancestor was a coal miner you can then check coal mines that were located near to where they lived. I have done this myself and it certainly helps to tell their story more. Rather than have a list of names, dates and places, (which is rather dull), you can get a sense of adventure from their journey which you can bring to your family’s story. Why Purchase the Historical Maps Essential Collection? There are several reasons why you will want to buy this collection. Maps are a great way to open your eyes and see how your ancestors once lived. By doing so they will not only be just a name, along with key dates, but so much more. We will know about their life’s journey, from birth right through to their old age. Your ancestors came from North American and/or Europe. Knowing who our ancestors were and where they once lived is one thing to the genealogist. But when we look at a historical map we begin to appreciate their lives even more so. We appreciate the hardship that they may have endured during their early years and also maybe their journey to a new land. We start to appreciate the distance that they had to travel in order to start a new life. It was not as easy as stepping on a bus or a train, or even a plane as it is today. These options were just not available for our ancestors. Their journey would have taken many months, even years maybe as they may have had to work the land to pay for their travel. The information that you can learn from this collection may yield to you just why they made the move. Also, the key dates within each state that may have had an impact on your ancestor’s life and journey. Tips and strategies for using maps. Tips on where you can find maps online for your genealogy research. How to use these historical maps and navigate boundaries, politics, war and more. There are maps for each of the 50 US states and for different dates. Also, helpful timelines for each state of key dates. European country maps for from 18th Century to early 20th Century. 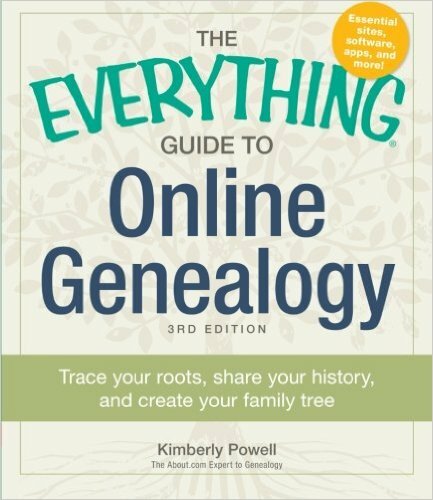 This Essential Collection gives you a total of NINE resources to help you trace your ancestors journey. These include two hardcover books, an 18×24 inch US map, a CD, a notebook, one webinar download and three video downloads. 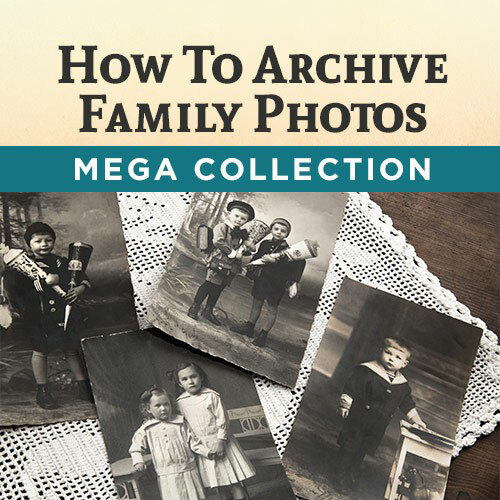 As four of the resources within this collection are digital downloads then you can start work on your emigrating ancestors straight away. 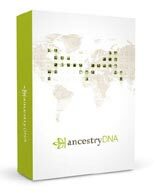 Once you purchase this collection you will then be able to download the videos and webinar and learn how to trace your ancestors journeys. 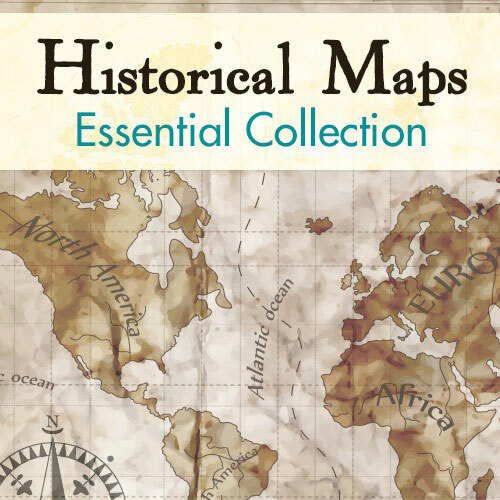 The Historical Maps Essential Collection does normally cost $272.91, but through Shop Family Tree you can get this entire collection for an astoundingly low price of $69.99. That is an incredible 74% saving! This has been described as a gorgeous map that will show what the United States looked like back in 1899. It will show you the 45 states, and also the territories of Arizona, New Mexico and Oklahoma that would later become states. Why not put it on your wall so that it will be easy reference to you. A book that is filled with US maps of each of the 50 states. It will show you the key dates in the history of these states. Also included is special interest maps and the ability to compare maps of the United States from many years throughout history. From this you will be able to see just how much America has changed through the years. A second hardcover book is included in this collection that guides you through 18th, 19th and the early part of the 20th Century of Europe through maps. There are over 200 full-color maps included in this book. This is a very useful book to the genealogist as it will help you to understand the context as to why your ancestor emigrated from Europe to the States. A complete collection of genealogy reference maps brought to you by the Family Tree Magazine. A 48-page notebook that you can take with you when you are out and about collecting details about your ancestors. So, whenever you are at the cemetery or at a courthouse you can just take this out and jot down notes about your ancestors in this convenient sized book. A video guide that will help you find historical maps online and show you how to use their mapping tools. This video will show you how to understand maps which will then help you with your family history research. From this presentation you will be able to understand migration and religious issues and use that to discover your family’s past. This video will again help you to use old historical maps for researching your ancestry. It will cover the Sanborn maps, Census enumeration district maps, plat maps, and much more besides. A video guide that will explore where to find historical maps online. This is a great video presentation that will help you to trace your ancestors journey from their European homeland to the United States. Another video guide that will show you the best websites for discovering and using historical maps for your genealogy research. 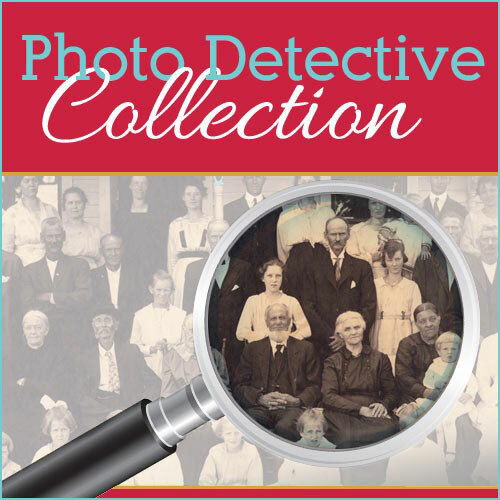 The Essential collection will give you many resources to help you trace your ancestors journey and pinpoint where they lived. We all want to know who our ancestors were. Where did they come from and what did they do for a living are also interesting questions that we all want to know. Adding insight such as this to your knowledge about your ancestors can be so rewarding. We can then pass this information down to our children, and our children’s children. And so we can preserve this heritage for generations to come. The saving of over $200 is not only good for your pocket. You can use this money that you have saved by purchasing other evidence connected with your ancestors. Evidence such as certificates and documents that prove a connection to your ancestor. Besides buying this awesome collection of helpful resources you may want to head on over to Old Maps Online. There you will find historical maps from all around the world. I hope you enjoyed reading this review about the Historical Maps Essential Collection and how it can help you. If you have any questions or comments then please leave a comment below. Very interesting information. 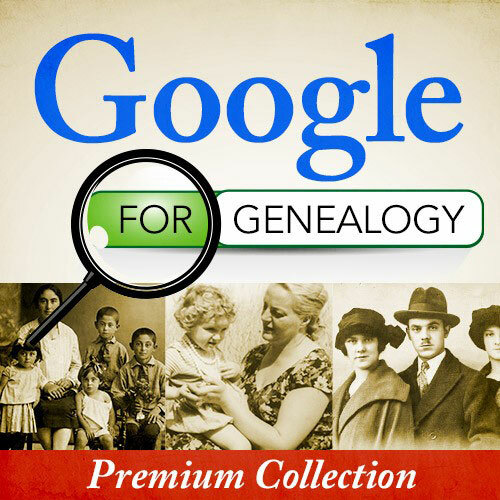 Nice to know there is collections and resources on tracing the genealogy. All that i trace about myself at least just a few generations back was from a county in china Hainan island. Beyond that who are my ancestry no idea though. Although i know the clan does kept a family tree book. Maps can bring your family’s stories to live. By looking at maps you get an understanding of what the location what was like where they lived. And also the distances that they traveled. I have done a fair amount of family research, and utilizing historical maps never even occurred to me! It has been awhile since I’ve tucked my research away, but your post has inspired me to pick it up again and see what new information is available to me. I’m also very grateful that you have found a source that offers a discount for the entire collection. That is a great savings! Genealogy was something I put on my list to do because it would be interesting to see who I am related to way back in time. It is like you have every step mapped out and give precise directions on what to do. Your website is very organized and crisp. I love the drop down menus you have. Your website is very informative. I enjoyed your looking around your website and I found it to be very helpful. Your website is awesome! I have done some work on Ancestry so found your map genealogical connection fascinating. Does the map of the UK show work-related locations? I can see the map of the United States showing coal mines, gold mining, turquoise and silver mining, farming, etc. i am not that familiar with the UK. Perhaps you could enlighten me. Great job! What a great article. I am pretty sure our ancestors DID travel due to work commitments, after all this is what we do now. These maps would make interesting reading and trying to trace your genealogy would be great fun. I don’t know if any of my ancestors would be there as I hail from UK but hey you never know! You will be pleased to know that there are maps included in this collection for the UK. There are maps for England, Scotland, Wales and Ireland, as well as timelines so you can see events that occurred during the 1700s to early 1900s. Hope this of help to you. Hi Owain, I too have always loved maps of any kind. I always imagine myself being in some far away place. Who knows, maybe my ancestors were there at one point in time. 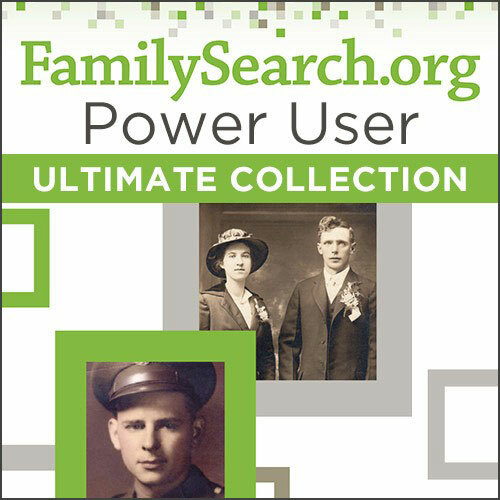 I am really interested in some good resources for learning about my family’s history. I will be back to your site, which by the way looks great! Maps can be another way to research your family’s history and this collection can help you with that. You’re right that maybe at one time they were there at one point. But you don’t know. Until you start looking. All the best with your genealogy research. There are many resources that can help you with your family history and looking at these old maps is just one of them. I like looking at them and seeing the distances involved and their surroundings as well. 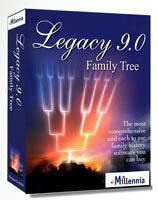 You get an understanding from this and it can help you appreciate your ancestors lives more I feel.